I'm sure by now you've heard of THINX underwear, made with special technology to absorb your period and help protect against leaks, and stains. Each pair of THINX underwear is moisture-wicking, anti-microbial, absorbent and leak-resistant. 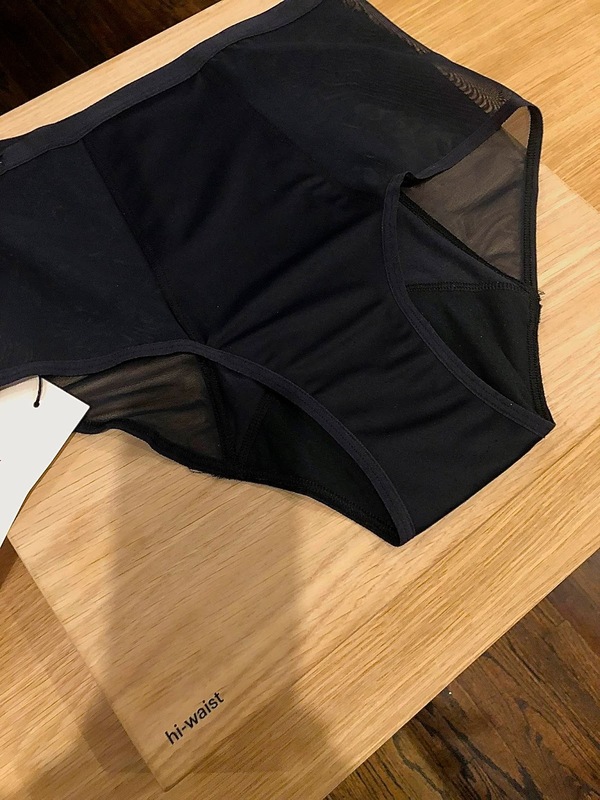 At the THINX pop-up preview in SoHo, I was invited to choose three pairs of underwear to try out for myself. 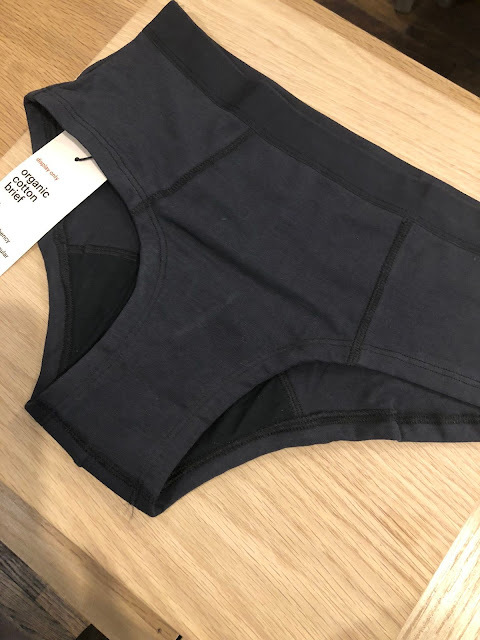 I chose the brief for casual days where I wanted to wear jeans or lounge at home in sweatpants, and both the boyshort and hi-waist that are perfect for work days and wearing dresses or skirts. When choosing your size, the THINX size guide is true to size, working off your jean size and hip measurement. The size small fit me perfectly and all the styles I chose have the most coverage for heavy days, which holds up to 2 tampons worth. 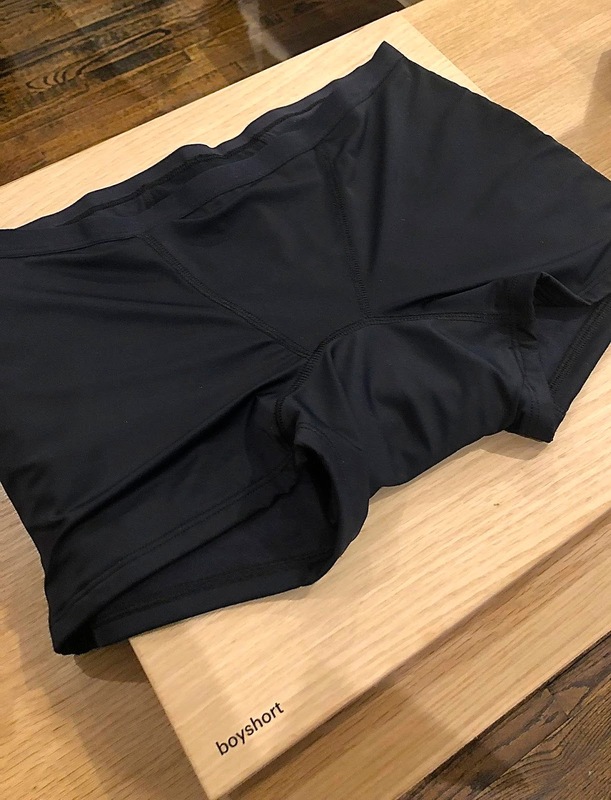 When my period came around this month, I decided to start off by using my THINX underwear as a backup to wearing tampons. I have to admit though, I forgot to wear THINX the day my cycle was supposed to start, and even forgot to bring tampons to work with me, and had to ask a colleague for a tampon and buy a box during lunchtime. Had I remembered to wear them, my day would have been less frantic. I absolutely hate wearing pads, which is why I had been skeptical of trying THINX to begin with. But THINX underwear is actually feels like regular underwear with lightweight, innovative technology woven into the crotch area. Halfway through the second day of my period wearing my THINX, I decided to skip using anymore tampons. I wore the boyshort all day, and didn't experience any leaks. I expected to feel gross wearing THINX on their own, but I honestly didn't even feel like I was on my period! I was amazed how absorbent it is! I no longer had to worry about leaks through my underwear or clothing. I went on to wear the hi-waist on the third day of my period, followed by the brief. When it came to washing my THINX, as soon as I changed out of each pair I turned them inside out and hand washed them in cold water, and without twisting them. Now in the process of hand washing my THINX, I was shocked not to see a lot of blood getting rinsed out the way you would a regular pair of underwear. Any blood that was getting washed away was very minimal, and a light pink color, as if my period had been really light. This really amazes me about the technology THINX uses. Where did all that blood go from my cycle? I actually double wash my THINX underwear, so after hand washing I let each pair hang dry, and then when I'm done wearing all three pairs I throw each pair in a lingerie bag and throw them in the washing machine on the delicate cycle (be sure to not use any fabric softener or bleach. If my menstrual cycle still continues, I can repeat the process all over again wearing those 3 pairs of THINX underwear I have. Wearing THINX has been an amazing discovery. THINX ranges from $24 - $39 per pair depending on the style. I think that's a reasonable price when I think of the money I'll save when I don't have to buy tampons and pads. The high quality underwear, made of 95% cotton, 5% elastane, is very comfortable, and has a great fit and design. Now I can just be prepared and wear THINX the day I expect my period to start. THINX is also perfect to wear for traveling, whether it's a long road trip or hours on a plane. If you are in the NYC area, be sure to visit the THINX pop-up, open through February 28th. You can also shop online to customize your own cycle set and get $10 off your order!